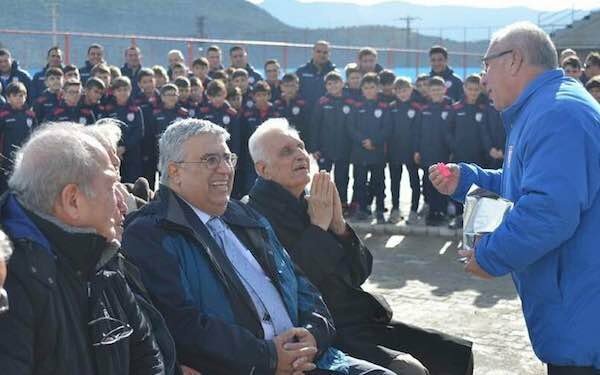 Altinordu FC, which has Turkey's leading youth academy program, named one of its facilities after Soccer America columnist Ahmet Guvener at ceremonies on Thursday in the city of Torbali, southeast of Izmir. Altinordu president Mehmet Ozkan praised Guvener for his contribution to the Turkish youth development system, especially for establishing the developmental academies, academy leagues and the standards for the academies. Guvener, who now resides in Austin, Texas, is the former secretary general and technical director of Turkish FA. He was also the head of refereeing for the Turkish FA and a panel member for the FIFA Panel of Referee Instructors and UEFA Referee Convention. Ozkan had invested heavily in youth development at Altinordu, which plays in the Turkish second-tier Spor Toto League but is considered to have the best youth program in Turkey. Altinordu product Cengiz Under started for Roma at the age of 20 in the semifinals of the 2018 UEFA Champions League. Leicester City defender Caglar Soyuncu, 22, is also an alum. 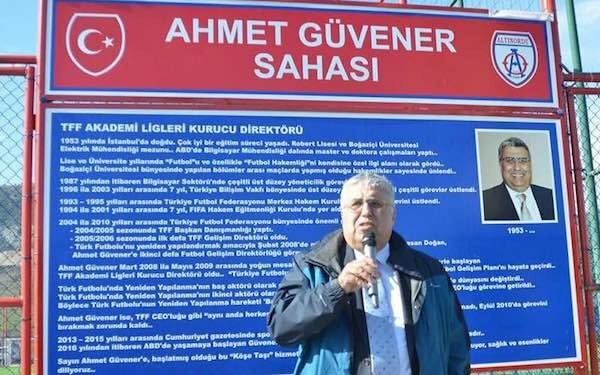 3 comments about "Turkish club Altinordu FC names facility after Guvener". frank schoon, February 9, 2019 at 11:08 a.m.
Bob Ashpole replied, February 9, 2019 at 2:01 p.m.
Congratulations! Soccer America is the only news media today where I can count on reading at least one "happy" story. And this is very happy news. R2 Dad, February 9, 2019 at 6:43 p.m.